Episode 'a key for the fort' . Show about female telegraph operator and features the Desert Telegraph company (sign in screen shot) as part of the story line. (Wiki)The Deseret Telegraph Company was a telegraphy company headquartered in Salt Lake City, Utah, United States. The company was organized in 1867 to direct operation of the recently completed Deseret Telegraph Line; its largest stakeholder was The Church of Jesus Christ of Latter-day Saints. 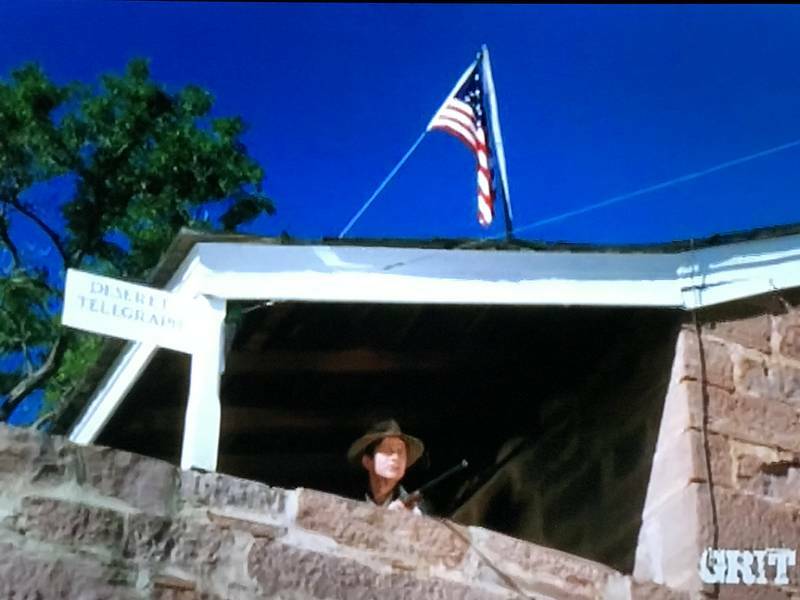 Show filmed at Fort Pipe Springs National Monument near the Utah Arizona border.